"Hug time! 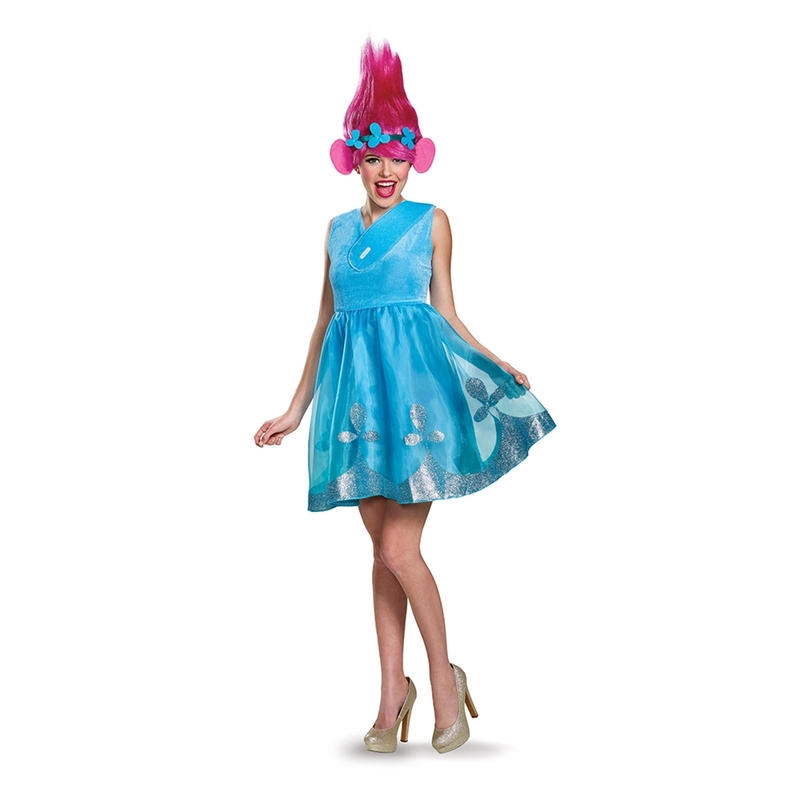 ", turn into the happy and kind-spirited princess of the Trolls with the Trolls Deluxe Poppy Adult Womens Costume. This costume is inspired by the character from the film and includes the character dress and wig with attached ears. The dress is blue and soft with a shiny wave & spade design similar to that on Poppy's dress. The pink wig stands up at a height of 13 inches and includes soft pink ears and even Poppy's green vine headband with blue flowers. Now all you have to do is paint your nose pink and put some glitter on your cheeks, and your costume will be complete. Now, remember, "happiness isn't something you put inside you. It's already there!"